Leaky Gut Syndrome is an inflammatory condition in the intestinal tissues. 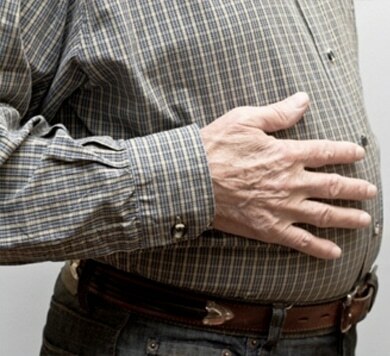 Leaky gut is an inflammatory condition in which the intestinal epithelial tissues lose their integrity and junctions between cells become semi-permeable, allowing abnormal reabsorbtion of intestinal contents, causing a wide range of internal disorders affecting the immune system, the nervous system, digestive system, respiratory and endocrine systems. The bowel houses lots of microscopic bacteria, which is necessary for protecting the immune system. These bacteria are called the bifidobacterium bifidum and are friendly and essential for our health. For example they produce natural antibiotics and anti-cancer substances. They fight parasites, bad bacteria, worms, etc. Breakdown of this barrier system (leaky gut) and inflammation results in unhealthy substances (bacteria breakdown) passing through the gut wall causing excessive production of nitric oxide, an inflammatory mediator and free radical which can cause energy depletion at a cellular level. There is also absorption of metabolic waste into the blood stressing the bodies detoxification system therefore affecting the immune system. Now the liver has a greater job to do to remove the wastes from the body. With leaky gut you can see symptoms such as colitis, irritable bowel, constipation and or diarrhea, osteoporosis, joint pain, asthma, fatigue, iron deficiency anemia, food allergies or intolerances, bloating, acute gastroenteritis, eczema and psoriasis, Crohn’s disease, ulcerative colitis, autoimmune disorders, depression, anxiety, and more.